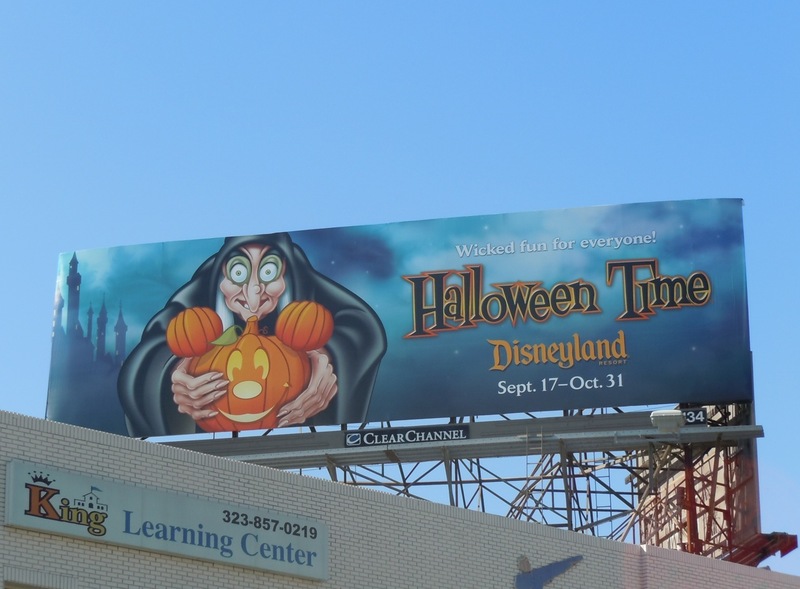 Daily Billboard is currently loving this series of Disneyland billboards around L.A. featuring some of Disney's more spooky and villainous characters. In this creative the disguised evil Queen from Snow White, offers us a Mickey shaped carved pumpkin for Halloween, rather than her trademark poisonous apple. 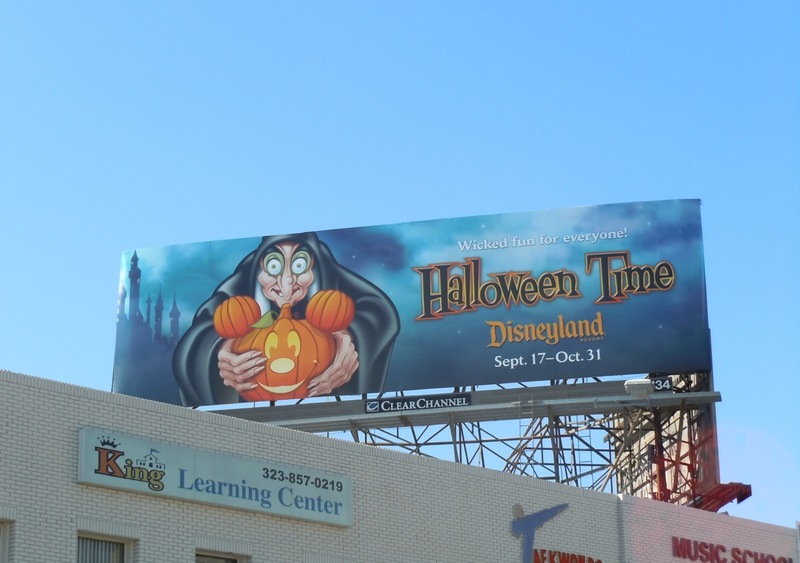 This fun billboard was snapped along Wilshire Boulevard at Detroit Street on October 8, 2010. Time to start getting in the Halloween spirit.